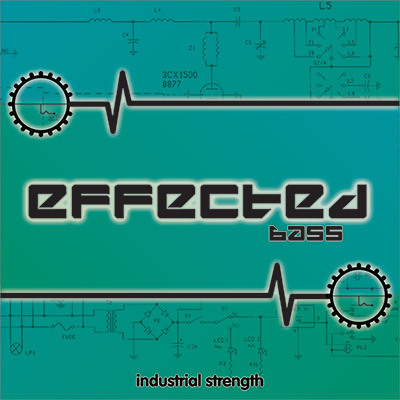 Industrial Strength Samples rifts a portal into uncharted depths with Effected Bass. For the daring among us, this pack pushes the low-end potential of experimental productions in Techno, Dubstep, and sound design work. This extreme audio pack features 614 Mb of twisted bass one-shots and dirty drum loops. From the eerie to the quirky, these distorted, mashed-up sounds aren't afraid to get weird. Add a subtle surprise or take a track entirely to left field: These effects are in your hands. Effected Bass lays the foundation. Mine the rest of ISR's dynamic Effected Collection for tricked-out drums, weird loops, and totally bewildering raw effects that could be mistaken for extraterrestrial lingo. If you like what you hear in the demo, this pack scares up an underground bass attack which is the prefect addition to our Effected and Effected Vol. 2 sample packs. Effected Bass is prepared for takeoff on your favorite Daw. These 24-bit samples are formatted for Wav, Apple Loops, Kontakt and Rex.2 so you can move on with your life without a glitch. And ample headroom means you can venture ever farther from the start and take those sound even further. *Unleash this pack loudly for maximum effect. May cause sonic booms, and other spontaneous reactions.